It was Pascal who remarked that much of the unhappiness in the world results from the fact that most men do not know what to do with their solitude. It is especially in times of inner solitude and contemplation that we are able to care for the soul, open the heart, expand the mind and awaken the spirit. C.S. Lewis remarked that the world is starved for silence, solitude, meditation and therefore true friendship. Pascal and Lewis had come upon their same insight from personal experience. 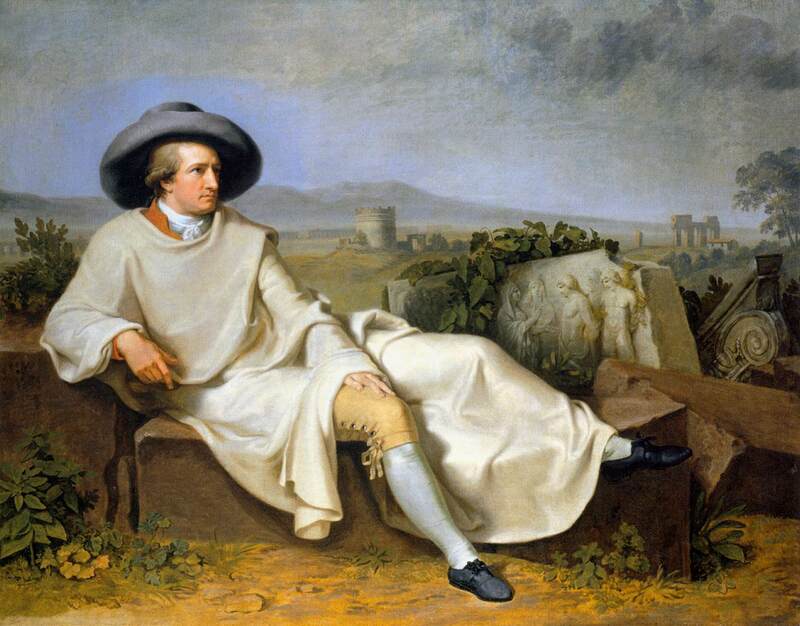 German Romantic Ideal of “Bildung” roughly corresponds to the cultivation of the whole person in relation to all the vital domains of general knowledge and life experience, resulting in an intelligent, sensitive, passionate, creative, richly diverse and complexly integrated way of life. Over the years I’ve filled my journals with various “mental maps” that attempt to sketch out various aspects of human knowledge and life experience that invite but critical reflection and reflexive contemplation. The attached “mental map” in blue letters at the top of this page is a pdf file that outlines eleven dimensions of knowledge and experience that invite mindful and soulful living. They are: All Personal Dimension, All Life Systems, All Life-Time Passages, All Historical Ages, All Great Civilizations, All Psychological Temperaments, All Social Institutions, All Liberal Arts, All Sociological Matrixes, All Worldview Perspectives and All Cultural Value Memes. I’ve found that these eleven “rubrics” give me “starter ideas” to reflect upon during my times of solitude and contemplation, personal exploration and journal-writing. They also serve as topical catalysts for conversational salons and educational seminars. Perhaps you will find them helpful as a kind of “cosmogony” for critical reflection and contemplative renewal. For millions of Americans in our modern secular age “Education” has largely replaced “Religion” as the central organizing institution that gives foundational meaning to life as well as a community of tradition and practice. Of course there are also “cultural consumers” today who find little or nothing of value and meaning in either Religion or Education, centering their lives around work and leisure, productivity and entertainment without much regard to either spiritual or intellectual concerns. Just as religion means many things to different people, the same is true of education. For example, in religion there are the shamanic, sagacious, prophetic and mystical traditions. And religion, like education, can be approached on many different levels of intellectual and cultural complexity, from the superstitious and simplistic to the reflective and contemplative. 1.The Instrumental Tradition: Those in this tradition believe that the central purpose of education ought to be the teaching of basic life-work skills. They believe students ought to prepared to function successfully with a particular productive economic role in society, especially through the workplace, whether defined developmentally as job, occupation, career or vocation. Along with this they ought to have basic skills in reading, writing and arithmetic, along with science and technology, business and finance. And they ought to have at least rudimentary social skills, the ability to get along with others. 2. The Progressive Tradition: Those in this tradition believe that the central purpose of education ought to be to develop “good citizens” who lead and serve the greater community and commonwealth in some way. They are to be equipped to become aware, concerned and involved in matters that effect the quality of life for their local community and society as a whole. They will be instructed in democratic values, civil discourse, servant leadership and institutional trusteeship. They will be encouraged to join various service organizations and to promote various social causes. 3. The Canonical Tradition: Those in this tradition believe that the central purpose of education ought to be a mastery of “general knowledge” of “the best that has been thought and written” by history’s most original and creative minds across the ages and in various cultures. This includes great works have found their way into the literary, historical, philosophical, artistic and scientific “Canon” of the Great Books and the creative masterpieces of western culture. At the center of this tradition is a love of intellectual and cultural history, including the philosophical and literary classics, as well as a passion for critical thinking, rational discourse, scientific knowledge and artistic expression. Canonical thinkers believe that we come to a larger understanding of who we are today and what we are becoming by reflecting deeply upon the shape of the past, including the dialectics of historical consciousness. 4. The Radical Tradition: Those in this tradition believe that the central purpose of education ought to be the development of “creative human potential” as a “self-actualizing person,” including the physical, emotional, social, aesthetic, rational, volitional, ethical and spiritual dimensions of a fully human life. They also believe that students ought to know how to nurture and integrate all of their essential life systems, including their personal system, couples system, family system, friendship system, work system, leisure system, social system, and environmental system. They would give special attention to the cultivation of those personal and trans-personal traits associated with Abraham Maslow’s idea of self-actualizing and self-transcending persons. Such “habits of the heart” and “character virtues” as wisdom, reverence, balance, wholeness, awareness, serenity, creativity, humor, hospitality, discernment, compassion and generosity are given special attention. Each of these four educational traditions has much to commend it, and there are those who attempt to sustain a constructive dialogue between all of them. However, it is not uncommon to find a more narrow and truncated approach to education today in many places where the full spectrum of educational possibilities and potentialities are not kept in clear view. Today we need an Educational “Bildung” that encompasses the Instrumental, Progressive, Canonical and Radical Traditions. We need a pluralistic and integrative approach to education that encompasses Life-Work skills, Democratic Citizenship, Cultural Literacy and Personal Transformation. Anything less diminishes our humanity and retards our growth as whole human beings and “cultural creatives” who participate in interdependent relationships with the greater commonwealth of Nature and Society. Which Is Better to Read, Fiction or Non-Fiction? One of the silliest questions we can ask when it comes to good reading is this, “Which is better, fiction or non-fiction?” Nevertheless, different people clearly have difference preferences when it comes to reading fiction and non-fiction. Some people read almost all fiction while others read almost all non-fiction? What does this tell us about the predisposition of such individuals? In addition, there are those who enjoy reading almost nothing but fiction for years, and then discover that they have an unexpected thirst for the kind of pleasure that comes from reading non-fiction. And of course the opposite is also true. Some people who have spent their lives reading fiction, including novels, short stories, poems and plays, suddenly discover a new interest in reading philosophy and history, along with the physical, natural, cognitive and social sciences. To add to the complexity and confusion, there are genre bending books that offer an ambiguous blend of fiction and non-faction. The general public get upset and feels deceived when an author purports to be writing non-fiction (nothing but the facts) and is found out to be embellishing his accounts with fictional elements. Reading a balance of fiction and non-fiction is probably the best solution, although this is easier said than done. Most of us read, if we read at all, to satisfy certain needs, whether for pleasure and delight, amusement and escape, information and knowledge, wisdom and insight. The world of imaginative fiction includes literature of every kind, and by extension we might also include the imaginative worlds of music and the arts. The world of expository non-fiction includes philosophy, history and the sciences. It would be too simple to cast this difference in terms of right brain and left brain hemisphere dominance, but it is not an irrelevant factor either. There are mutually complementary advantages to imaginative and discursive forms of feeling and thought, perception and judgment, even if many persons become fixated on one at the expense of the other. It seems to me that the German ideal of “Bildung” (that I wrote about in the previous blog) speaks to the need for balance between the intuitive and rational, emotive and cognitive, expressive and reflective, synthetic and analytical aspects of human knowledge and experience. Both fiction and non-fiction are required in order to cultivate the whole person. The humanities arts, sciences and technologies can all thrive in a mutually respectful and symbiotic relationship. There is no need for a dichotomy between “the two cultures.” The German educational ideal of Bildung as personal and cultural development and the American educational ideal of Pluralistic Pragmatism may be two complementary approaches to developing the full spectrum of our human potential. In an age when reading, whether fiction or non-fiction, are endangered species, killed of by the plethora of electronic media, we should be thankful that some people are reading at all, whether fiction or non-fiction. But the best arrangement seems to be to balance the reading of fiction and non-fiction, and transcend the old cultural divide between the poets and the philosophers, literati and historians, artists and scientists. The perennial quest for fullness of being and human flourishing requires a full spectrum approach to thoughtful and creative inquiry. And of course this need not exclude the additional media and communication resources of radio, TV, movies and the world wide web, even though an excessive dependence upon these do tend to make the old fashion reading of books, printed paper books, an endangered species. Which is better, fiction or non-fiction? It’s like asking, which is better, the right wing or the left wing of an airplane. Hopefully, those who hope to soar on wings of imagination and reflection, knowledge and wisdom will use both front wings, along with tail wings, flaps and a rudder to steer their airplane to distant lands. And hopefully they will have a reliable landing gear installed in their airplane for safe landings. All that remains is to have a sane and sober, responsible and experienced pilot, for without this even the reading of fiction and non-fiction can offer no guarantee that we will not get lost over the sea or crash land our plane into a mountain. It is not only the reading of fiction and non-fiction that matters, but what we bring of our own fully sentient and reflective humanity to creative encounters with good books. During the past several months I’ve had the extraordinary pleasure of reading three books by the intellectual and cultural historian Peter Watson. Those books are The Modern Mind, The Age of Atheists, and The German Genius. Other brilliant modern intellectual historians such as Jacques Barzun, Isaiah Berlin, Walter Benjamin, Terry Eagleton, Roger Scruton and Charles Taylor belong to this erudite association of immanent scholars. Literary examples of “Bildungsroman” include The History of Tom Jones, by Henry Fielding, Candide, by Voltaire, The Life and Opinions of Tristam Shanty, by Laurence Sterne, Emile, or One Education, by Rousseau, Wilhelm Meister’s Apprenticeship, by Johan Wolfgang Goethe, Jane Eyre, by Charlotte Bronte, David Copperfield, and Great Expectations, by Charles Dickens, The Adventures of Huckleberry Finn, by Mark Twain, What Maisie Knew, by Henry James, Sons and Lovers, by D.H. Larwence, Portrait of the Artist as a Young Man, by James Joyce, Demian: the Story of Emil Sinclair’s Youth, and Narcissus and Goldman, by Hermann Hesse, and To Kill a Mockingbird, by Harper Lee, to name only a few. “Kant thought the difference between animals and man was that man can set himself goals and ‘cultivate the raw potentialities of his nature.’ In creating the very idea of purpose within us, he felt, we ‘enlarge’ ourselves and those around us. This is inwardness, Bildung, and community all in one. Fritz Ringer described “Bildung” as “the single most important tenet of the ‘mandarin’ tradition” within Germany and elsewhere. In terms of the schools of modern educational theory, it is a marriage of the radical person-centered tradition, classical canonical tradition and progressive pragmatic tradition, the fusion of soul-care, cultural literary and state-craft. What “Bildung” resists is a reduction and constriction of the great energies and potentialities of human development and cultural achievement to the limits of trade and commerce, technology and technique, production and consumption, amusement and escape, the very norms that dominate our global capitalist corporate consumer society today. In this sense the ideal of “Bildung” is counter-cultural to the dominant economic and social values of today’s materialist society. It reduces “the leveling of the masses” to acquisitive and mindless consumers. It values the cultivation of knowledge, wisdom, compassion, character and citizenship as essential elements in the development and sustaining of a just, free, noble and humane democratic society.